This SSSI was designated as a National Nature Reserve in February 2013, but has already been the subject of careful conservation management as a result of its long-recognised special features: the area contains one of the largest stands of transition mire and quaking bog habitat in Wales. Cors Gyfelog is a level lowland site consisting of a mosaic of habitats which include wet woodland and wet acid heath. The diverse habitats support a rich mix of vegetation including some very rare and beautiful species of wildflowers. The wet woodland consists, in part, of mature willow carr Salix cinerea habitat and this supports rich lichen and other lower plant communities. This wild and beautiful place is the catchment area for two rivers, the Desach flows northwards from it, and the Dwyfach flows south. 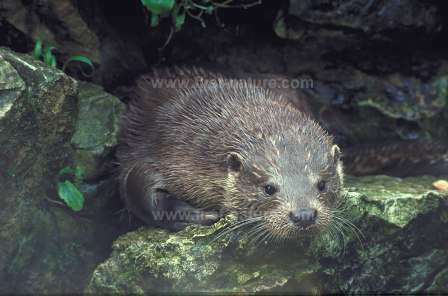 Otters are known to use the Dwyfach, and water voles have also been recorded from the site. In winter Snipe find refuge at Cors Gyfelog. Cors Gyfelog NNR is managed by Natural Resources Wales (NRW). This reserve is situated between Caernarfon and Porthmadog - see Access note below. This NNR is not currently suitable for unaccompanied public access. The ground is extremely treacherous even in summer when the water table is at its lowest. Most of the plants, insects and animals that live at Cors Gyfelog can be seen in other nature reserves which have full public access. In north Wales Fenns, Whixall and Bettisfield Mosses and the Anglsey Fens have good facilities for visitors. In the south, you could visit Borth Bog at Dyfi NNR, Crymlyn Bog or Cors Caron (Tregaron Bog), and in the east, Cors y Llyn, near Builth Wells, has a lovely spring wildflower pasture and an excellent boardwalk across the wetland part of the reserve. There are none at the site, but there are shops, cafes and public toilets in Caernarfon and Porthmadog as well as in the nearby villages. Much of the biological interest of this nature reserve comes from its plantlife. A number of sedges grow in various parts of the reserve and they include Slender Sedge Carex lasiocarpa, White Sedge Carex curta, Common Sedge Carex nigra, Bottle Sedge Carex rostrata and Mud Sedge Carex limosa. Some of our most beautiful wetland wildflowers grow in Cors Gyfelog: it is an important site for the Globeflower Trollius europaeus which is in steep decline throughout the UK, and two wild orchids, the Bog Orchid Hammarbya paludosa (which falls into the 'interesting' rather than 'beautiful' category) and the Marsh Helleborine Epipactis palustris are both in the reserve. The latter is regarded by some as being our most beautiful wild orchid because the flowers are reminiscent of its more exotic tropical cousins known to us from garden centres and supermarkets. 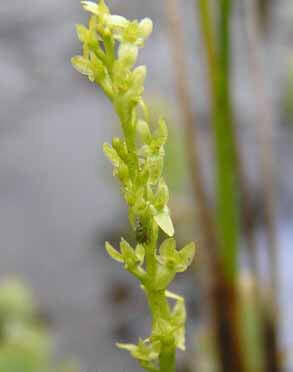 The Bog Orchid is notoriously difficult to spot; it is tiny and green and grows in seasonal flushes in late summer in a number of locations throughout Wales. 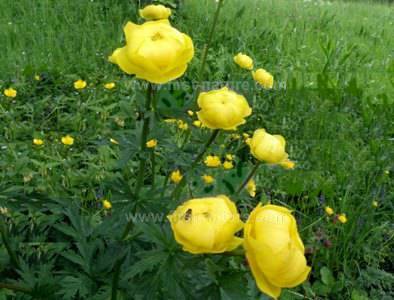 Other lovely wildflowers include the Marsh Violet Viola palustris, Marsh Marigold Caltha palustris, Bog Asphodel Narthecium ossifragum, Marsh Cinquefoil Comosum palustre, and Bogbean Menyanthes trifoliata. The Royal Fern Osmunda regalis, which is uncommon in Wales, is also found at Cors Gyfelog. Many of the plants support rare insects: Slender Sedge supports the rare Silver Fly Acrometopia whalbergi, and Devil's-bit Scabious Sucissa pratensis, is the larval food plant for the Marsh Fritillary butterfly. Both are endangered due to loss of habitat. Other rare insects at Cors Gyfelog include two rare snail-killing flies Tetanocera freyi and Antichaeta analis, and also a rare semi-aquatic weevil Bagous frit. Otters Lutra lutra and Water Voles Arvicola terrestris have been recently recorded from the Cors Gyfelog area, and it is also home to some special birds: Grasshopper Warblers are recorded from the site which also supports a breeding population of Lesser Redpolls.